Band Parents Association - Sound. Appearance. Precision. 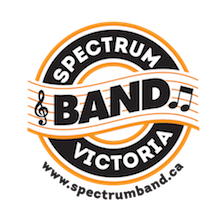 The Spectrum Band Parents Association (a registered British Columbia Society) supports the Spectrum School bands. Members assist with communication, supervision and chaperoning, uniform issuing and maintenance, and fundraising to support the program. Funds raised cover program expenses (instruments, music, technology, uniform purchases, student awards, and tour expenses), and support students' personal band accounts (private lessons, personal instrument purchases and maintenance, band tour payments). Monthly meetings are held in the school library and all parents are welcome to attend. Minutes from past meetings can be found under the Band Parents Association tab.